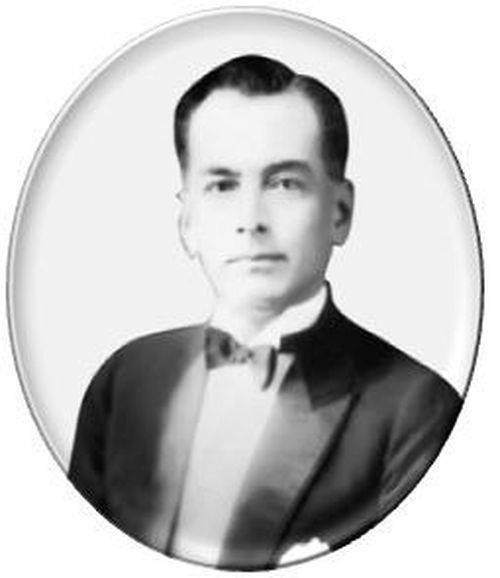 Manuel Luis Quezon y Molina. Denomination 20. Manuel Luis Quezon y Molina (August 19, 1878 – August 1, 1944) was a notable Philippine statesman, soldier, and politician. He was a Spanish Filipino; his parents were both Spanish Mestizos. He served as president of the Commonwealth of the Philippines from 1935 to 1944. He was the first Filipino to head a government of the Philippines (as opposed to other historical states), and is considered to have been the second president of the Philippines, after Emilio Aguinaldo (1897-1901). Quezon was the first Senate president elected to the presidency, the first president elected through a national election and the first incumbent to secure re-election (for a partial second term, later extended, due to amendments to the 1935 Constitution). He is known as the "Father of the National Language". During his presidency, Quezon tackled the problem of landless peasants in the countryside. Other major decisions include reorganization of the islands' military defense, approval of recommendation for government reorganization, promotion of settlement and development in Mindanao, dealing with the foreign stranglehold on Philippine trade and commerce, proposals for land reform, and opposing graft and corruption within the government. He established an exiled government in the U.S. with the outbreak of the war and the threat of Japanese invasion. It was during his exile in the U.S. that he died of tuberculosis at Saranac Lake, New York. He was buried in the Arlington National Cemetery until the end of World War II, when his remains were moved to Manila. His final resting place is the Quezon City Memorial Circle. In 2015, the Board of The International Raoul Wallenberg Foundation approved a posthumously bestowal of the Wallenberg Medal upon President Quezon and to the people of the Philippines for having reached-out, between 1937 and 1941, to the victims of the Holocaust. President Benigno Aquino III, and María Zeneida Quezon Avanceña, who is 94 years old and the daughter of the former President, were duly informed about this recognition. 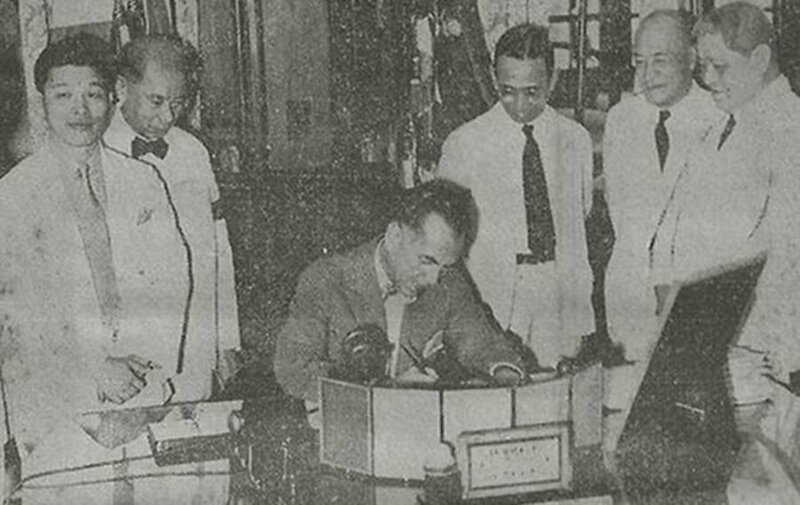 In lower left corner - The signing by the President of the Philippines, Manuel Quezon, of the constitution of 1935, in which English became the second language. The special committee, which chose the state language from among the local dialects, on December 30, 1937, established that it would be Tagalog. In 1939, President Manuel Quezon renamed Tagalog into the “national language” (Wikang Pambansa), 20 years later the name was changed to Pilipino by the Minister of Education of Jose Romero. The 1973 Constitution proclaimed the state English and "Pilipino", and also obliged to create a national language, which is now known as Filipino. 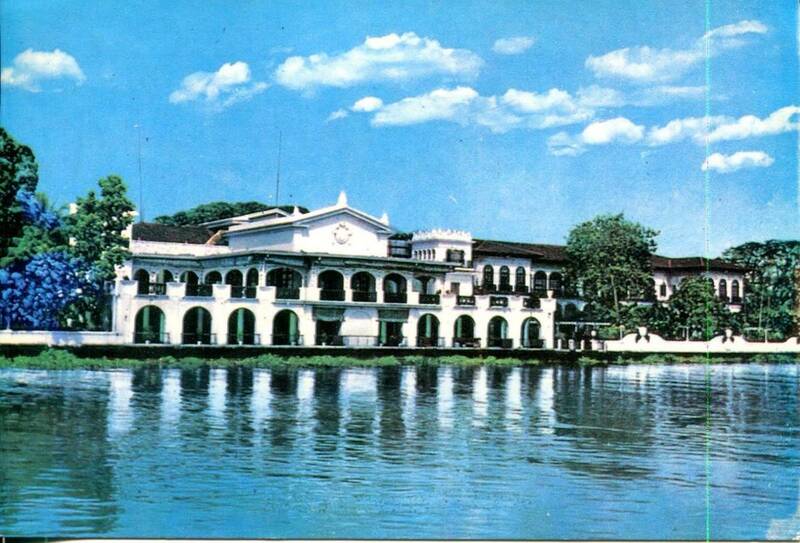 Malacañan Palace before the reconstruction in 1978. 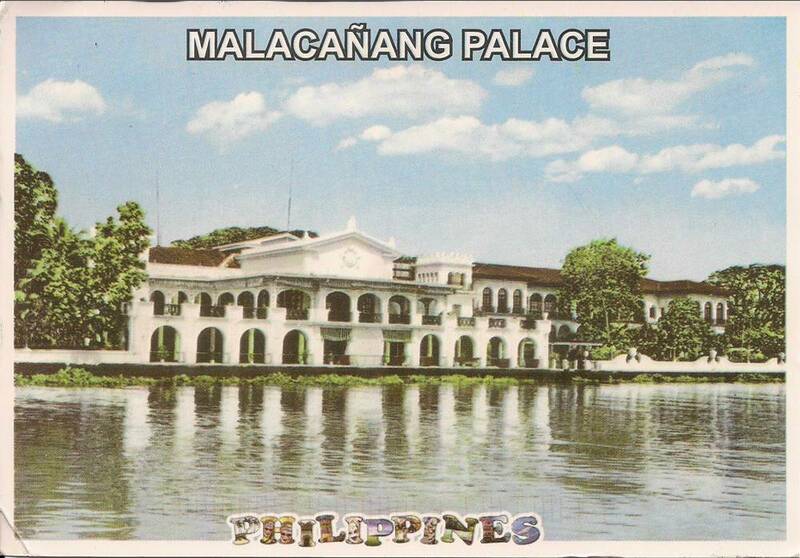 Malacañan Palace (officially Malacañan Palace, colloquially "Malacañang" Filipino: Palasyo ng Malakanyang; Spanish: Palacio de Malacañan) is the official residence and principal workplace of the President of the Philippines. The original structure was built in 1750 by Don Luís Rocha as a summer house along the Pasig River. It was purchased by the state in 1825 as the summer residence for the Spanish Governor-General. After the June 3, 1863 earthquake destroyed the Palacio del Governador (Governor's Palace) in the walled city of Manila, it became the Governor-General's official residence. After sovereignty over the Islands was ceded to the United States in 1898, it became the residence of the American Governors, with General Wesley Merritt being the first. Since 1863, the Palace has been occupied by eighteen Spanish Governors-General, fourteen American Military and Civil Governors, and later the Presidents of the Philippines. The Palace had been enlarged and refurbished several times since 1750; the grounds were expanded to include neighboring estates, and many buildings were demolished and constructed during the Spanish and American periods. Most recently, the Palace complex was again drastically remodeled and extensively rebuilt during the dictatorship of Ferdinand Marcos. Among the presidents of the present Fifth Republic, only Gloria Macapagal-Arroyo has actually lived in the main Palace, with all others residing in nearby properties that form part of the larger Palace complex. 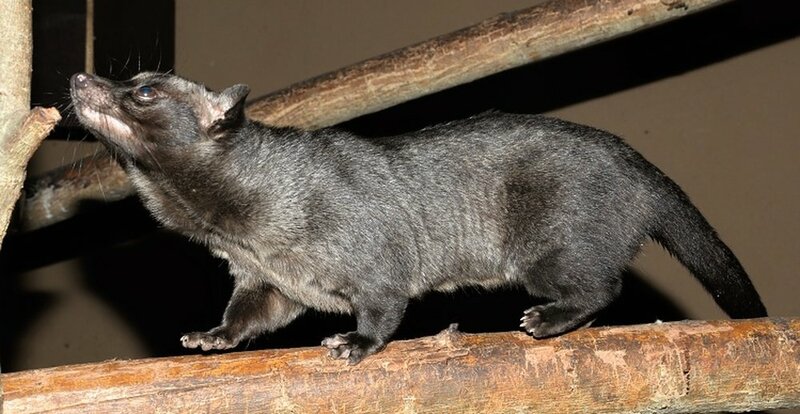 2) Paradoxurus hermaphroditus philippinensis (palm civet). 4) Map of the Philippines with a marked city of Banaue. 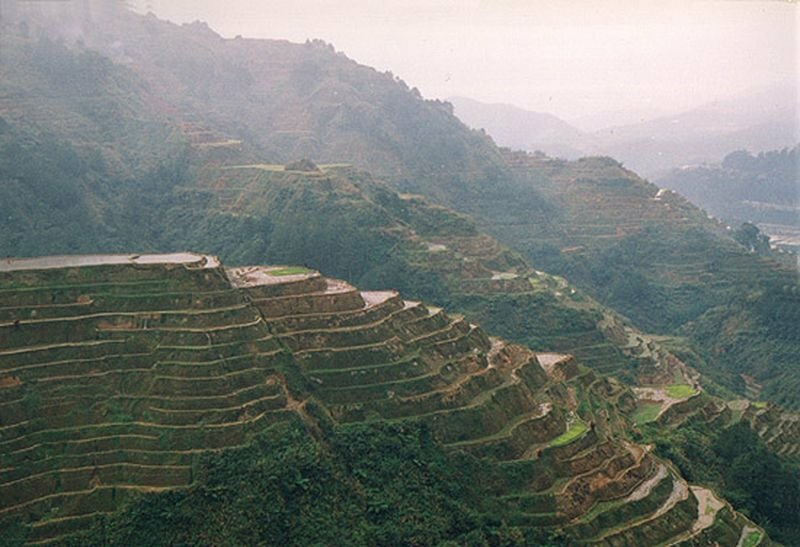 The Banaue Rice Terraces (Filipino: Hagdan-hagdang Palayan ng Banawe) are terraces that were carved into the mountains of Ifugao in the Philippines by the ancestors of the indigenous people. The terraces are occasionally called the "Eighth Wonder of the World". It is commonly thought that the terraces were built with minimal equipment, largely by hand. The terraces are located approximately 1,500 meters (4,900 feet) above sea level. These are fed by an ancient irrigation system from the rainforests above the terraces. It is said that if the steps were put end to end, it would encircle half of the globe. 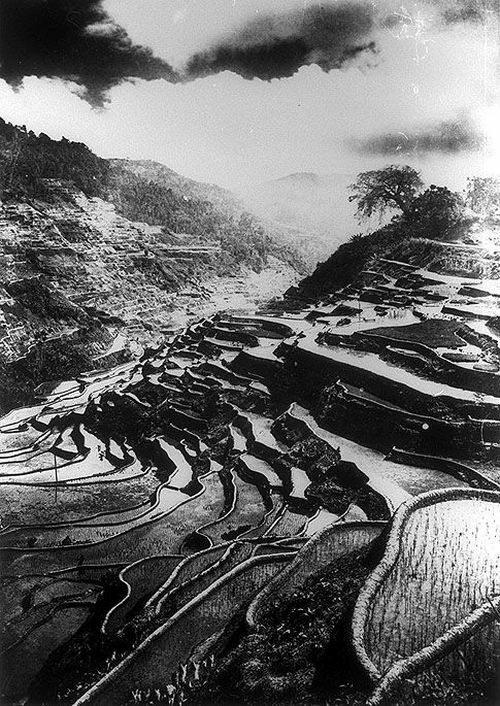 Locals up to this day still plant rice and vegetables on the terraces, although more and more younger Ifugaos do not find farming appealing, often opting for the more lucrative hospitality industry generated by the terraces. The result is the gradual erosion of the characteristic "steps", which require constant reconstruction and care. In 2010, a further problem encountered was drought, with the terraces drying up completely in March of that year. The age of the terraces are believed by many to be over a 2,000 years old as postulated by anthropologist Otley Beyer. Several researchers however dispute this and contend that the terraces were built much later. 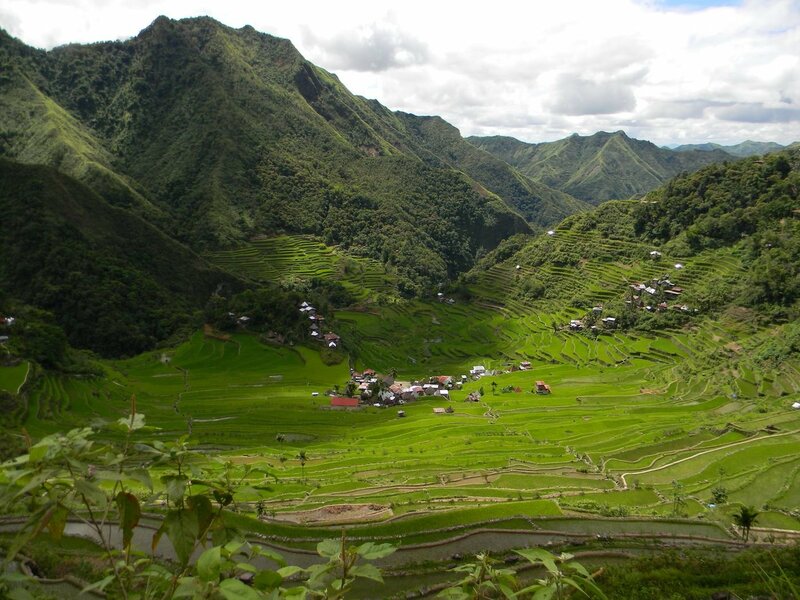 There are also giant Earthworms ("Olang" in Ifugao) of the genus Pheretima or Polypheretima elongata which are supposed to destroy the terraces, as well as rodents of the genus Chrotomis mindorensis, and snails. Philippine Endemic, subspecies of palm civet - Philippine palm civet (Paradoxurus hermaphroditus philippinensis).